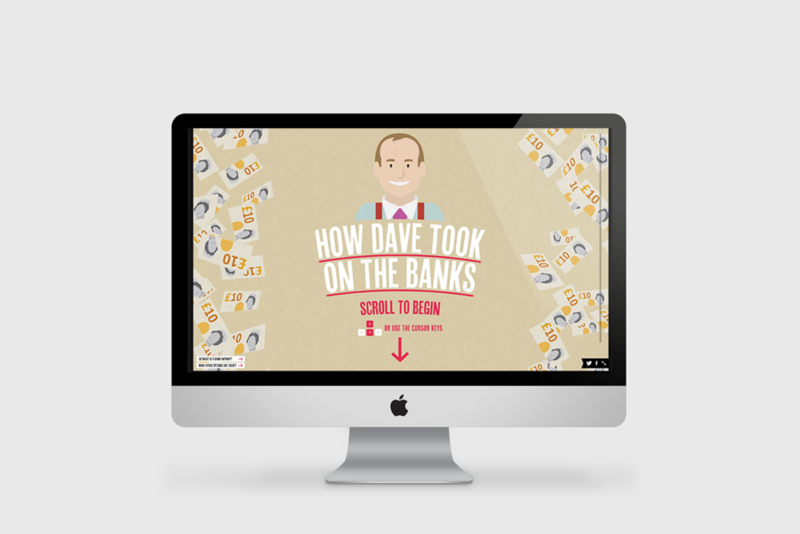 Bank of Dave was a documentary produced by Channel 4. It followed the story of Dave, a self-made millionaire, who was attempting to set up his own bank during the banking crisis. Whitespace agency had been brought in to create an interactive infographic to explain this. With a background in information graphics, I was really excited to be involved in this project and was commissioned to illustrate Dave’s story.